Burj Al-Luqluq Social Center organized, within Jerusalem Ambassadors project, the fifth tour on Wednesday, 17th of February 2016 to the north of Palestine. The tour started from Jerusalem towards Im Al-Zinat Village then to Al-Qeira and Qairoun Villages to visit the windmills valley, called Al-Freir, to learn about grinding wheat methods and to recognize the Palestinian plants and rocks in the valley. And then, the group visited Alsheikh Village near Jaffa city, 5 kilos away to the east of the city, to see Izz Al-Deen Al-Qassam tomb (a popular Arabs fighter). Then they moved to Jaffa city to see its architectural touristic sites such as Al-Baha’een Garden, Stella Mars Church on the top of Al-Karmel Mountain, Mini Switzerland on the same mountain, which was important to be recognized by participants due to its natural archaeologies and similarity of Switzerland. 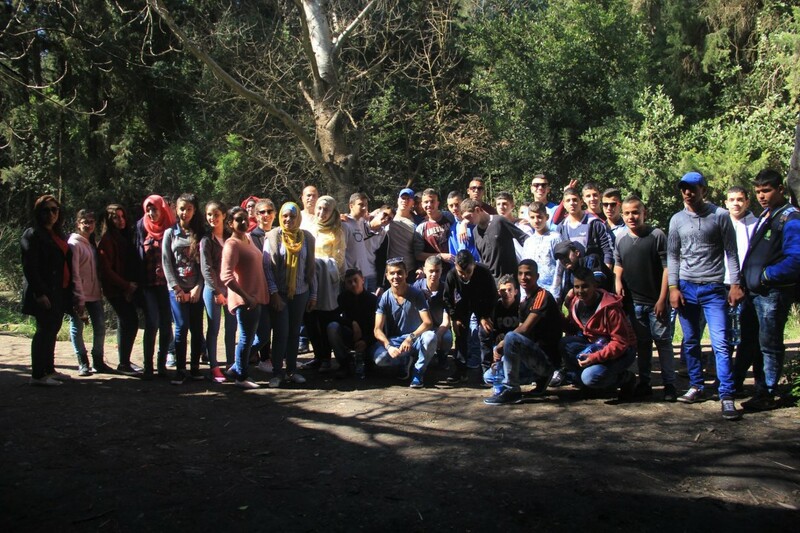 The project coordinator Farah Abu Zant confirmed that the tour was for reinforcing the Palestinian identity for Jerusalemite students and for recognizing important 1948 occupied cities.